მის პრეზენტაციაში ანჟელა ჰარუტუნიანი შეეხება კოლაბორაციულ კვლევით პროექტს განხორციელებულს ჯოანა სოკოლოვსკასთან, თეუშ ლოგართან, ვესნა მადძოსკისთან, ვარდან აზათიანთან და ეშტერ ლაზართან ერთად, რომლის სათაური იყო ‘აღმოსავლეთ ევროპის და ყოფილი საბჭოთა კავშირის ბოდიარტის და პერფორმანსის პრაქტიკის ქრონოლოგია’. ეს პროექტი განიხილავს მეთოდოლოგიურ და ხელოვნების ისტორიოგრაფიულ ფართო პრობლემებს, რომელსაც ეფუძნება ანჟელა ჰარუტუნიანის შრომები. ეს არის რამოდენიმე ხელოვნების კურატორის და ისტორიკოსის კოლაბორაციული გამოცემა მისი (ანჟელას) ხელშეწყობით. იგი წარმოაგენს როგორც მეთოდოლოგიურ თხრობას ასევე პოლიტიკურ და მხატვრულ ქრონოლოგიას, რომელიც მოიცავს 1949-2007 წლების პერიოდს. ამ პროექტში გადაიკვეთება ანჟელა ჰარუტუნიანის საქმიანობის ორი მთავარი სფერო - ხელოვნების ისტორიის კვლევა და კურატორობა: ხელოვნების ისტორიის წერა ვლინდება როგორც კურატორობის ხერხი და კურატორობა, წარმოისახება როგორც ისტორიულად გამყარებული გამოცდილება. In her presentation Angela Harutyunyan will refer to a collaborative research project conducted with Joanna Sokolowska, Tevz Logar, Vesna Madzoski, Vardan Azatyan and Eszter Lazar and entitled ‘A Timeline of Performance and Body art Practices from Eastern Europe and Former USSR’. 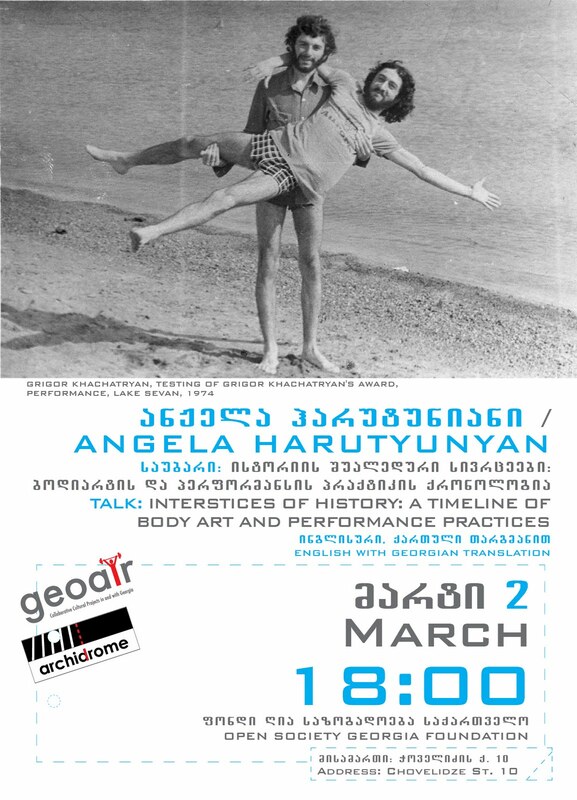 This project epitomizes the larger methodological and art historiographical concerns that inform Angela Harutyunyan’s work. It is a collaborative publication with several art curators and historians facilitated by her. It constitutes a methodological narrative as well as political and artistic timelines encompassing the period between 1949-2007. 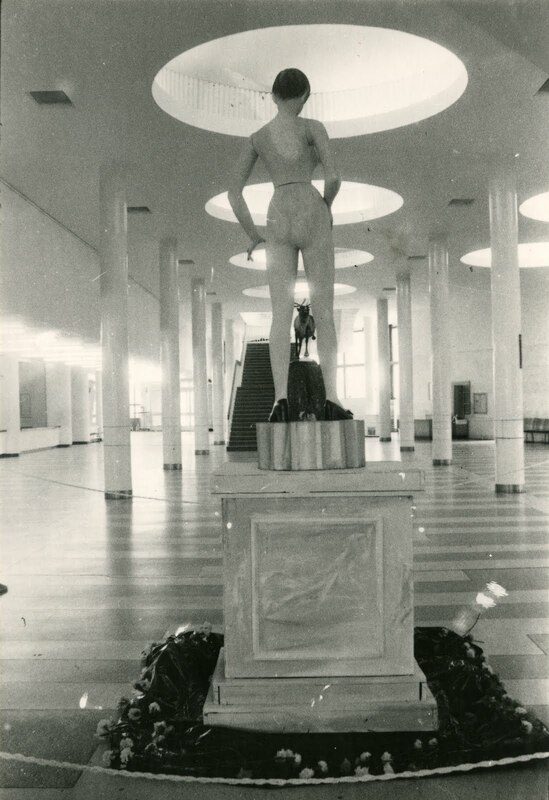 In this project, the two main areas of Angela Harutyunyan’s practice - art history research and curating - intersect: art history writing comes out as a mode of curating, and curating appears as a historically grounded practice. ანჟელა ხარუტუნიანი არის ხელოვნების ისტორიკოსი და კურატორი. 2009-2010 წლებში იყო ასისტენტ-პროფესორი და ხელოვნების პროგრამის დირექტორი კაიროს ამერიკულ უნივერსიტეტში. მას საერთაშორისო მასშტაბით გამოქვეყნებული აქვს სტატიები საკითხებზე დაკავშირებული პოსტ-საბჭოთა ხელოვნებასთან და კულტურასთან, განსაკუთრებული აქცენტით - თანამედროვე ხელოვნება სომხეთში. იგი არის კურატორი მრავალი გამოფენისა, როგორიც არის საზოგადო_მედია_სივრცე (Public_Media_Space, ACCEA, ერევანი, 2004), შენთან მოახლოება შენთან არყოფნისთვის (Cominig to You Not to Be With You (WOW, ერევანი, სომხეთი, 2008)), Accretions (გალერეა Skuc, ლუბლიანა, სლოვენია, 2010) და AccretionsII (თანამედროვე ხელოვნების მუზეუმი, ლოძი, პოლონეთი). 2006 წლიდან ანჟელა ხარუტუნიანი სომხეთის ხელოვნების კრიტიკოსთა საერთაშორისო ასოციაციასთან (AICA-Armenia) ერთად არის ერევანში ხელოვნების კურატორების საზაფხულო სემინარების და წელიწადში ორჯერ კრიტიკული და კურატორული სწავლების პროგრამების თანაორგანიზატორი. იგი იყო თანარედაქტორი მრავალი საერთაშორისო ანთოლოგიისა, მათ შორის საზოგადო სფეროები სოციალიზმის შემდეგ (Public Spheres After Socialism, 2008, მალკომ მაილსთან და კატერინ ჰორშელმანთან ერთად) და წმინდა ეჯნების წიგნი: ღალატის სახელმძღვანელო (The Book of St. Ejneb: Manual for Treason, არას ოზგუნთან ერთად, 2011 წელს მე-10 შარჯას ხელოვნების ბიენალესთვის). Angela Harutyunyan is an art historian and curator. In 2009-2010 she was Assistant Professor and Art Program director at the American University in Cairo. She has published internationally on issues related to post-Soviet art and culture, and specifically, contemporary art in Armenia. 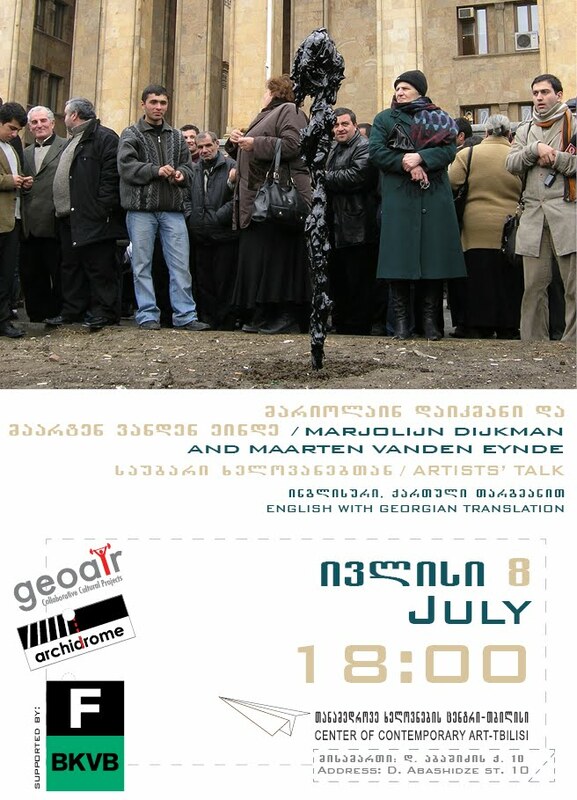 She has curated several shows such as Public_Media_Space (ACCEA, Yerevan, 2004) , Coming to You Not to Be With You (WOW, Yerevan, Armenia, 2008), Accretions (Skuc Gallery, Ljubljana, Slovenia, 2010) and Accretions II (Museum of Contemporary Art, Lodz, Poland).